The Cambridge Beer Festival was first held in 1974 and is the branch’s largest and main beer festival. 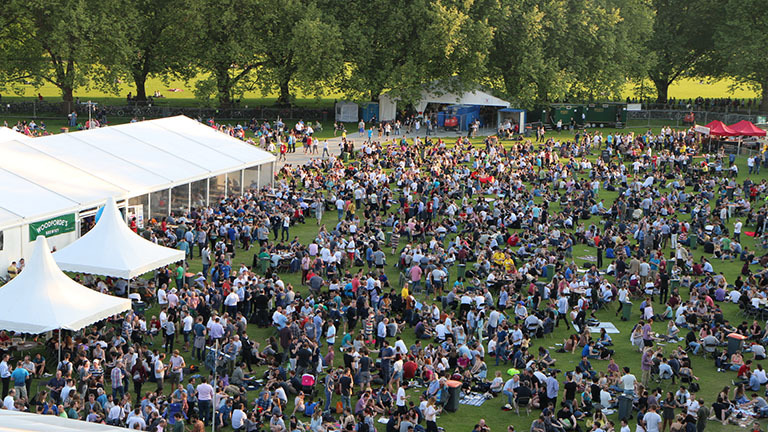 During its long run, the festival has had several homes but since 2001 has been held on Jesus Green in late May. It is the United Kingdom’s longest running CAMRA beer festival and currently is one of the largest regional beer festivals in the UK. The festival features a wide range of local and national beers of all styles, as well as cider, perry, mead, wine, and bottled and draft beers from around the world. The cheese counter showcases a wide range of fine cheeses, together with locally produced bread, pork pies, scotch eggs and other savoury items. Over the years, the Cambridge Beer Festival has become an international event, with visitors from across Europe, China, Canada, USA and Mexico. Find out about the theme for the 46th Cambridge Beer Festival.